…yes it’s official London is having a heatwave, and it’s actually really rather hot. In the parks there are deckchairs to lay in with cider and ice cream a mere slightly sticky paw wave away. Outside of London at the seaside ... well the lobsters aren't actually hiding out in the cooling seawater as you’d normally expect. Oh noooooo ... they are in fact laying on towels on the beaches turning that cooked lobster red colour!!! 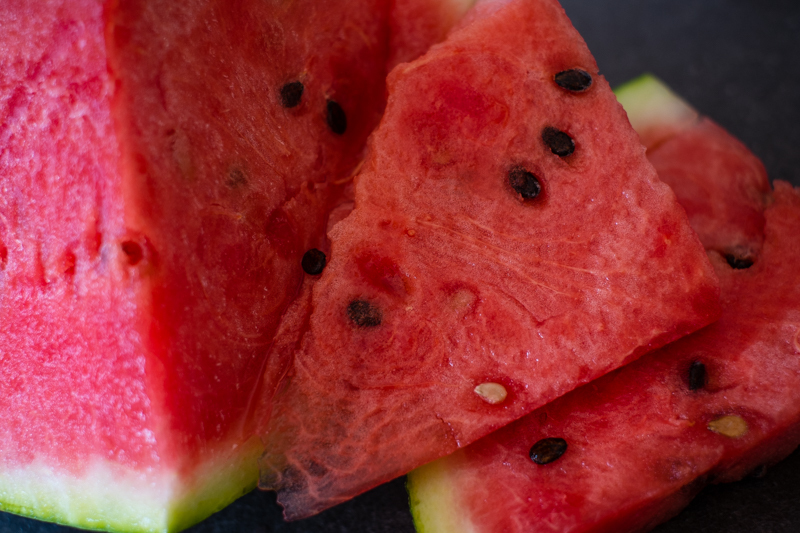 I got a tip off from someone who lives in a year round hot place and shall remain nameless (Jenni) that the best thing to beat the heat is … wait for it … watermelon!! 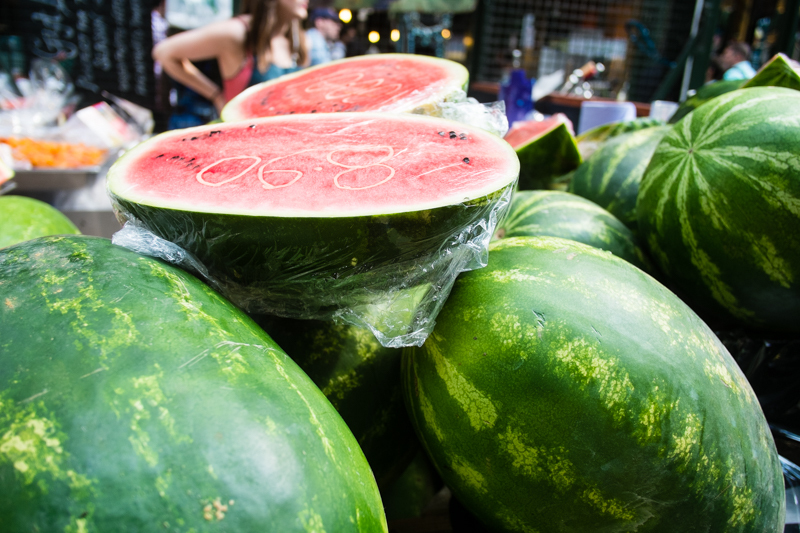 So naturally, I looked it up and she is totally right – watermelon is a gift for the heat, and a really ancient one as well (secretly of course I was hoping that it was craft beer, but you probably guessed that already right) ... Yes ancient, way way older even than Mark Twain’s creation Huckleberry Finn and his partner in crime Tom Sawyer, smashing open (stolen) watermelons and spitting the pips into the Mississippi river in the sweltering humid heat of a southern American summer. We think that today’s watermelon ancestor grew wild in the deserts of southern Africa, where it was shall we just say, not the attractive plant we all know today. It was a hard shelled wizened rather ugly thing with its true beauty being that it provided a source of safe and nutritious liquid for the desert dwellers like the Kalahari tribes. The Egyptians have cultivated it for the same reasons since the 2nd century. 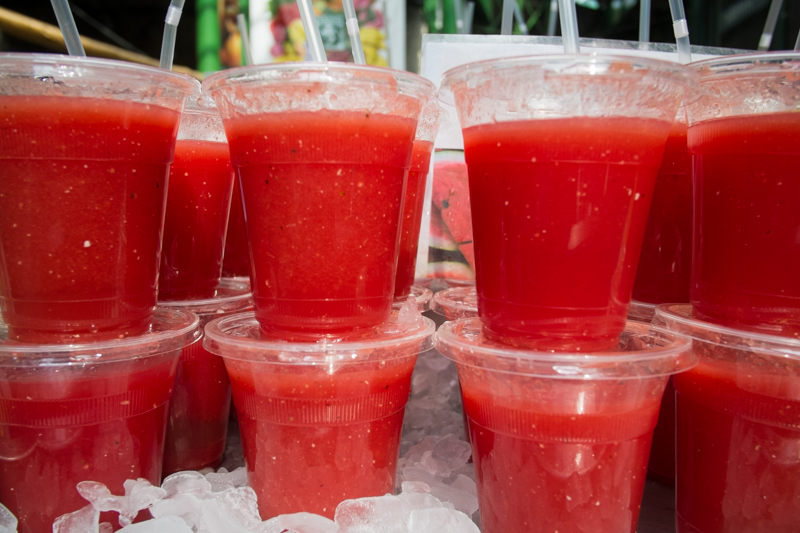 Seeds were even found in Tutankhamen’s tomb no doubt to nourish him in the after-life of course (watermelon daiquiris anyone?) . The Chinese quickly got in on the act (well as fast as you can when travelling overland by yak and camel and then returning by standard class elephant) and are now the largest producer of watermelon globally. So what’s so good about them Ted – they are just mostly water aren’t they? Well yes … so there we have hydration in itself … but, they also contain the A, B, C of vitamins and the magic lycopene that we know reduces the risk of heart disease, various cancers and wait for it ... protects the skin from the harmful UV rays of the sun!!! Once we had discovered this, one of my long standing partners in crime who shall remain nameless (Helen) and I immediately went shopping … her for a bikini with a watermelon print, me for craft beer. After hollowing the watermelon out, Aussie men at the cricket will even wear them as hats to beat the heat ~ of course copious amounts of beer involved too to be seen in said garb. You should be able to find images on Google of watermelon helmets if you don't believe me. Yep. As a person who lives somewhere that is very warm in a regular basis I can vouch for the wonders of watermelon. And it's tasty. Oh my goodness, you've made me hungry for some watermelon. I'm off to the store. For me alcohol and sun never go together well. Individually I love them both. This is a very informative (and cute) post, Ted and The Doll.